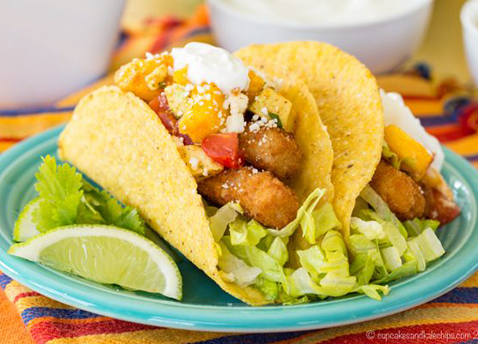 Raise the bar on taco night with these fish stick tacos packed with plenty of zing, courtesy of Cupcakes and Kale Chips. Oh, and did we mention the mango-avocado salsa? Stir together the lime juice, chili powder, and cumin. Prepare the fish sticks as per the package instructions for cooking in the oven. 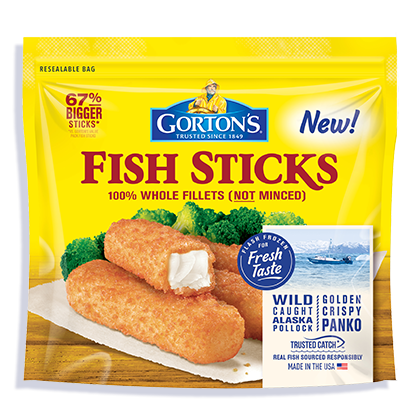 When instructed to flip the fish sticks after 8 minutes, brush each side of the fish sticks with the lime juice mixture and finish baking. Place lettuce in the bottom of each taco shell or tortilla. Top with three fish sticks, the Mango Avocado Salsa, about a tablespoon of cheese, and sour cream or Greek yogurt, if desired. Add the avocado to a bowl and top with the lime juice. Toss to prevent the avocado from browning. Add the remaining ingredients, season to taste with salt and pepper, and set aside or store in the refrigerator to use later.